Let’s be real: Long after our infatuation with the poke bowl subsides, our love of l’alta cucina will linger on. Who can blame us for this enduring love affair with Italian restaurants in Perth? The true maestros have flavour-balancing down to a fine art. And, honestly, who wouldn’t give it all up for some garlic bread? Just don’t waste your weekly carb quota on the sub-par. Finding authentic Italian requires due diligence. Lucky for you, we’ve done the legwork and sorted the stayers from the players. You can say grazie mille to us later. Unbuckle your belt, these are the very best Italian restaurants in Perth—the ones who’ve proven they’re no flash in the pan. Are you one of those delusional types who refuses to order pasta in a restaurant? Think you can just whip up a carbonara at home, huh? Sorry, but you’ll soon be eating your words, along with a slice of humble pie after feasting on Joel Valvasori’s creations. Lulu La Delizia has earned its accolades as one of the best in the game, not only in Perth, but nationally. If decisions aren’t your thing, get the chef’s menu and pray you get the burrata (or just request it!) Trust us when we say, this is a very good place to start if you’re looking for the best Italian restaurants in Perth. Galileo is so authentic it's been recognised by the Italian Government with the Ospitalità Italiana quality seal—if that's not a big tick of approval then we don't know what is! 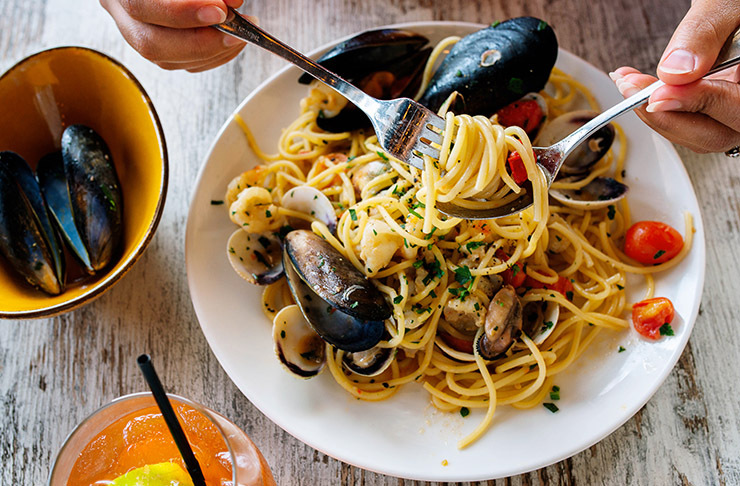 With a strong focus on seasonal cuisine and ingredients sourced all the way from Italy, Galileo Buona Cucina is up there with some of the best Italian fare in Perth. Their wine list also boasts over 400 wines from around the world. One word...grazie! We all know seaside dining in Perth is a high-risk investment, but Il Lido has proven itself to be reliable stock time and time again. When you need a bit of low-key romance in your life, try this for a date night: a stellar Cottesloe sunset followed by a legendary lasagna that’s just made for two. Netflix and chill can wait. P.S. The lasagna tends to sell out, so best you ring ahead (lest your lasagna-loving heart be broken). If you’re craving authentic Italian with a dose of elegance and good splash of top quality wine, head to Lalla Rookh, a super-sophisticated wine-store/bar/restaurant with sleek interiors and a drinks list longer than most YA novels. Order a Tuscan wine from their enoteca and head to the eating room for ‘La Cucina Westraliana’. Not fluent in Italiano? 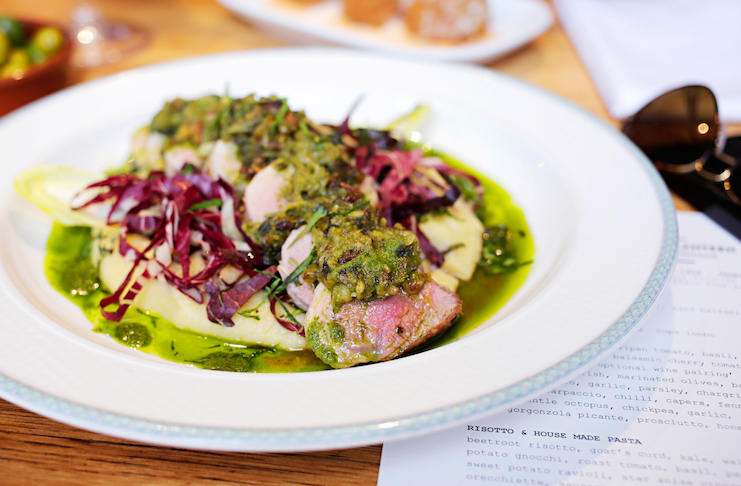 What they mean is classic Italian meals made with West Australian produce—or, in local’s terms, seriously good grub. Their six course Il Capo menu will leave you utterly sated. Honestly one of the best Italian restaurants in Perth! 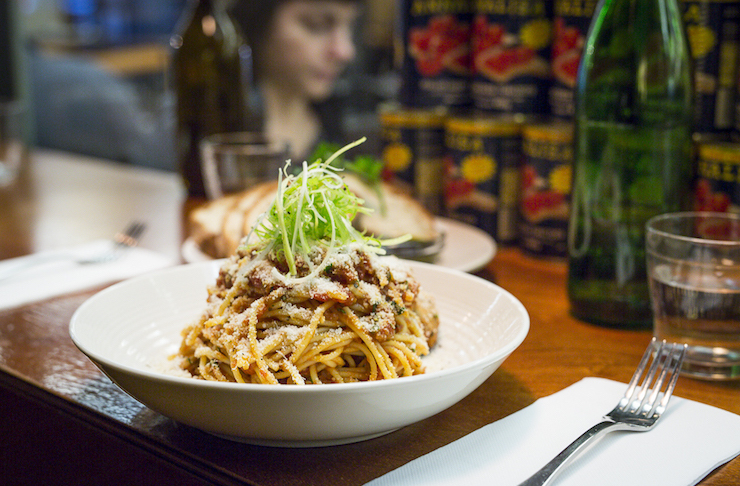 A neat little joint tucked away in Williams Lane, Francoforte Spaghetti Bar is experimental yet unpretentious—a killer combo if ever there was one. Too damn tasty to stay a secret, their popularity has seen them expand and they’ve even submitted to demands for gluten free ‘spaghetti no regretti’. Bring your own chianti, a little cash and go all Lady and the Tramp in there. Did you even know pork belly lollipops were a thing? One bite and suddenly we can’t imagine there was ever a world without them. Cecchi’s charming courtyard is worth venturing that little bit further down the Beaufort St strip, especially on a Friday afternoon, when they offer some insane pizza and drink specials for ten measly bucks. Way to start the weekend right. Perugino is definitely one of the best Italian restaurants in Perth. Head chef and owner Giuseppe Pagliaricci and his wife Rosalba provide an authentic and sophisticated Italian experience that has stood the test of time (they've been serving up delectable Italian fare since 1986!) The food is classic, with a modern twist, the dessert trolley is legendary and the wine list is extensive. For an Italian experience to remember, this is your spot! When you imagine driving down to Freo for a little Italian, this is probably not what you have in mind. But we say La Sosta has earned her stripes, thanks to her brazen disregard for expectations. Kind of like the rebel sister who took the family recipes and added extra grappa. The result? An exciting, luxurious spin on old classics. Score yourself a vantage point on the balcony and you’ll feel slicker than a mafioso’s comb-over. Brought to us by Melbourne restauranteur Guy Grossi, Garum is a large scale, rustic Roman restaurant championing the quality local produce that originally enticed Grossi over to WA in the first place. The menu is inspired by Roman food and dining culture and it's bringing a much-needed contemporary feel to the original heritage building that it's located in. What’s not to love? Spritz Spizzechiaria is pure fun. Their killer classic menu treads gently on your wallet, leaving you with more dollars for a sherbet-y Spritz that you just won’t quit. The catch? The Mount Hawthorn locals keep their favourite joint tightly packed, but its popularity is well-deserved. Grab your besties and bust out that vintage gingham frock—you’re about to have a BIG night. Alright, listen. 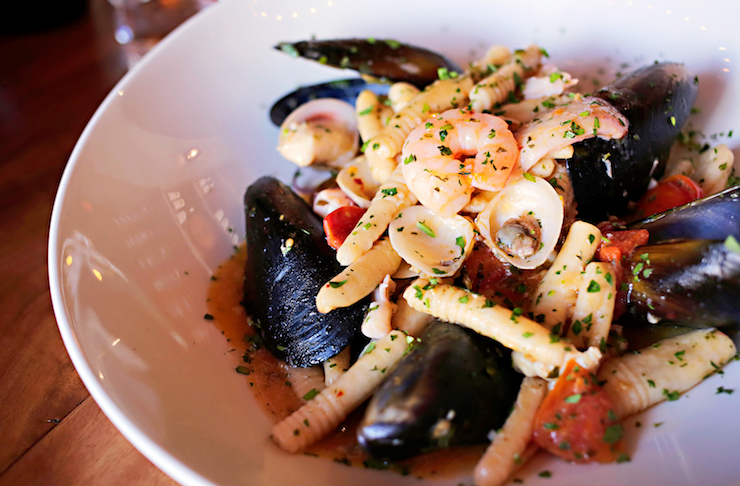 If we tell you about this secret Italian restaurant, keep it on the DL. We still want to be able to nab a last-minute table. With a cobblestoned laneway and hand-painted murals, owner Eric Bambaci has single-handedly brightened up this sleepy old suburban neighbourhood. Edesia is the Roman Goddess that blesses and presides over banquets, and you’ll be feeling her benevolence in every bite. Attadale locals keep this place bustling like a Roman piazza, but don’t fret if you can’t get a table; next door at The Dough Room, Eric’s got his mates pumping out top-rate wood-fired pizzas (try their black diamond base and you’ll seriously consider moving in). 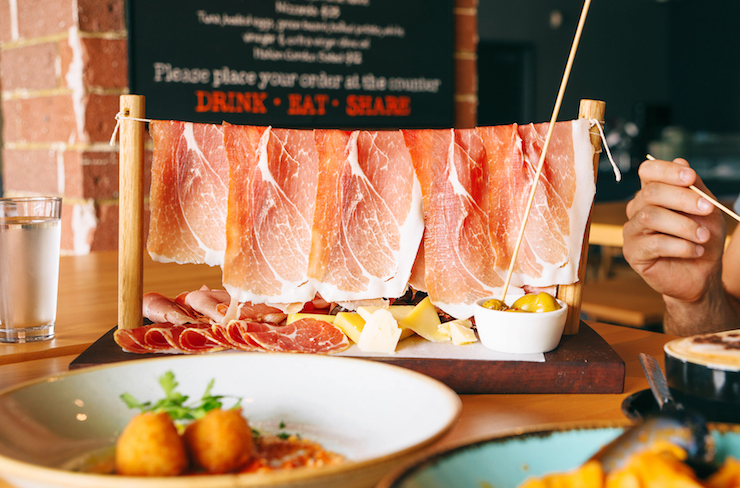 Santini Bar and Grill is dishing up a mix of Italian cuisine with local West Australian produce all from an open kitchen so you can sit back and watch it all unfold. Equipped with a wood-fired grill and oven, you’ll be able to see handmade pasta, Margaret River venison and line-caught calamari cooking away. While some might think of Pappagallo as more of a pizza place, those in the know go there for the tagliatelle ragu, the insalata caprese and the fritelle—ricotta doughnuts served with gelato and chocolate sauce! The buzzy atmosphere and friendly atmosphere are just the cherries on top. This Italian restaurant has a decent wine list with drops from Italy and Australia, but it's also BYO so you can bring that bottle you've been saving! When we talk about Italian chefs understanding balance, Kappy’s is exhibit A. Here, the simplest bruschetta is elevated to a fine art and their calf livers are punchy and proud, without being in-your-face about it. Housed in a Californian bungalow, come for a lazy lunch and maybe take the train home in case your Campari cup should runneth over. Yes, you’ve probably been to this Italian restaurant already—after all, it’s been standing strong since 1978. And we’re the first to admit, they’re not exactly pushing any culinary boundaries here. But these guys know that it’s criminal to deconstruct a tiramisu. Ruocco’s is more homely than comely, and that’s why we love it. Their gnocchi has been described as ‘like pillows of cloud’. Now you can’t think of anything else, right? One to take your folks to. Still hungry? For more of the best Italian restaurants in Perth, hit up our directory right here. Jasmyn is a rare breed of Perthling, in that she parties equally hard on both sides of the river (weird, we know). A one-time Masterchef reject, she’s cooked for the entire Beaufort Street strip, but these days you’re likely to find her lugging a laptop around Freo, hunting for Wi-Fi and a cosy writing nook. From Peruvian guinea pig to Ugandan ugali, Jaz will go anywhere for a good feed and a great story, but she’s still Perth’s number one fan. She raves about it to anyone who will listen—it’s as if telling people where to go and what to eat gives her some perverse kind of pleasure.